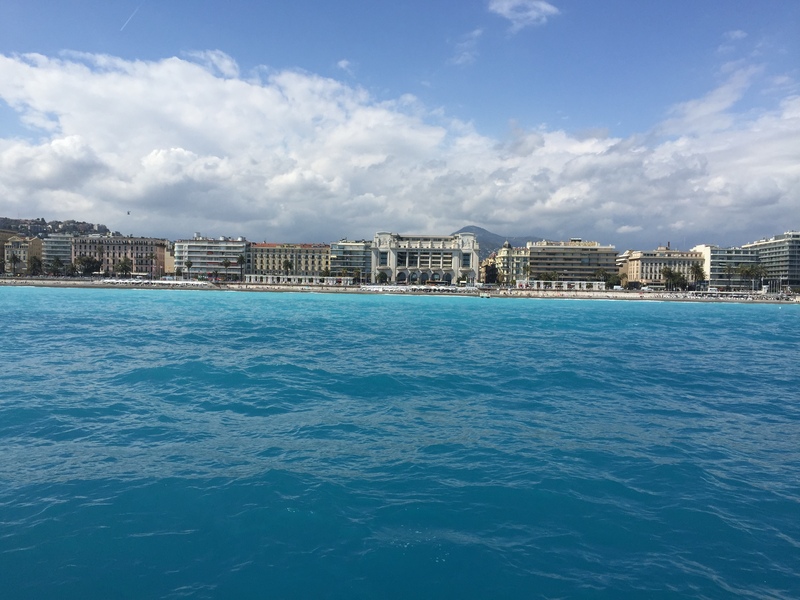 After a perfect Mediterranean cruise aboard the Star Flyer, my daughter and I headed to Nice, France, for what turned out to be three perfect days of sightseeing, exploring, dining well–and simply enjoying the charms of a beautiful city. 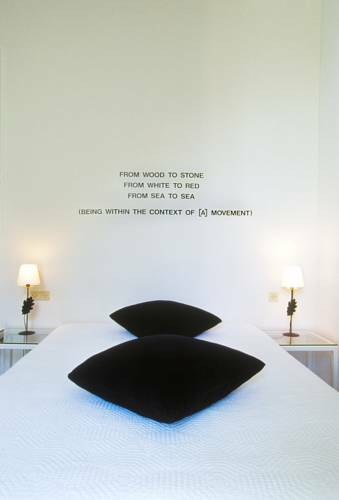 Artist Lawrence Weiner, as represented in our room. Perfection began at the Hotel Windsor, a magical place infused with the creativity of the artists whose work is displayed in the room and throughout the public places. Some rooms display posters paying homage to such well-known artists as Robert Indiana, Niky de Saint Phalle and Martial Raysse. Our room honored artist Lawrence Weiner. Though the room was modest in size, it had everything we needed: a nice bathroom, WiFi, a place to work on my computer—and best of all, a balcony that overlooked the garden, where we would have breakfast every morning. Breakfast was served in the hotel garden. 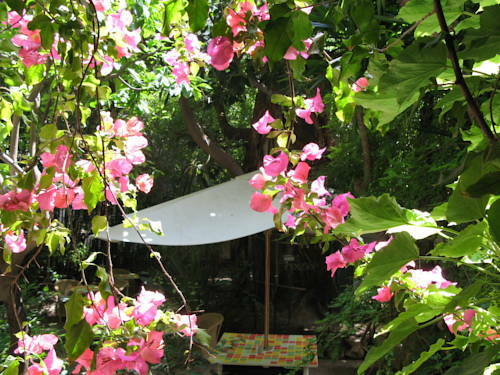 The garden is remarkable, not only for its tranquility and beauty—bamboo and bougainvillea and birdsong, fruit trees and a pool—but also for the location. Here it is, a veritable oasis, mere steps from the bustle of the city. Amid such happy surroundings, the typical European-style breakfast–good coffee, fruit, cold cuts and cheese, cold cereal, etc.—provided a happy start to the day. The art throughout the public places just made us smile. 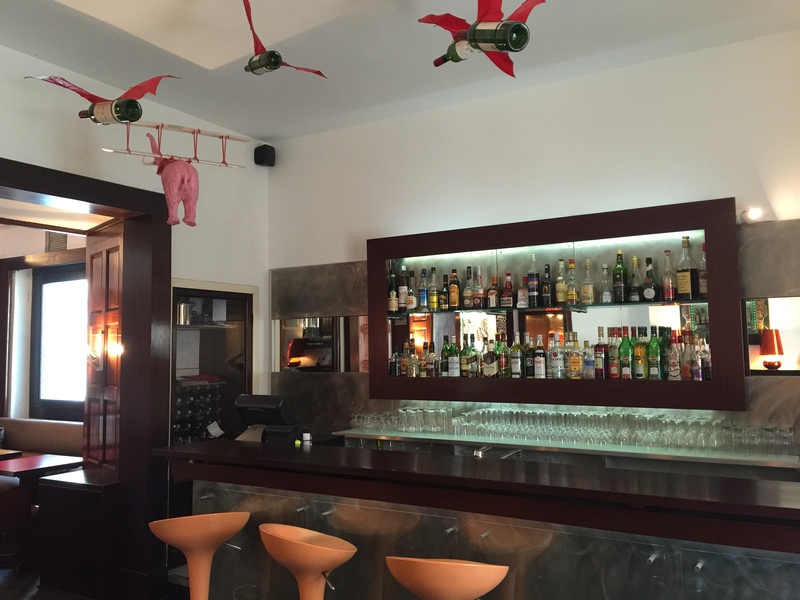 Consider the bar with pink elephants, suggesting the pleasures of after-hours indulgence. 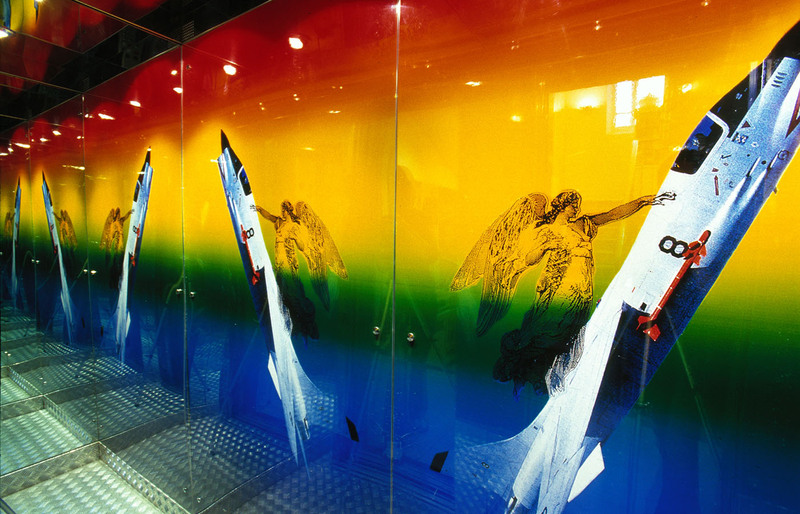 Or the elevator designed by Andy Warhol’s pal, Ultraviolet, which envelops you in a space ship and provides sounds effects as you go up and down. Since a weekend isn’t very long, and we were determined to see and do as much as possible, we abandoned the treasures of the hotel to explore and experience Nice. 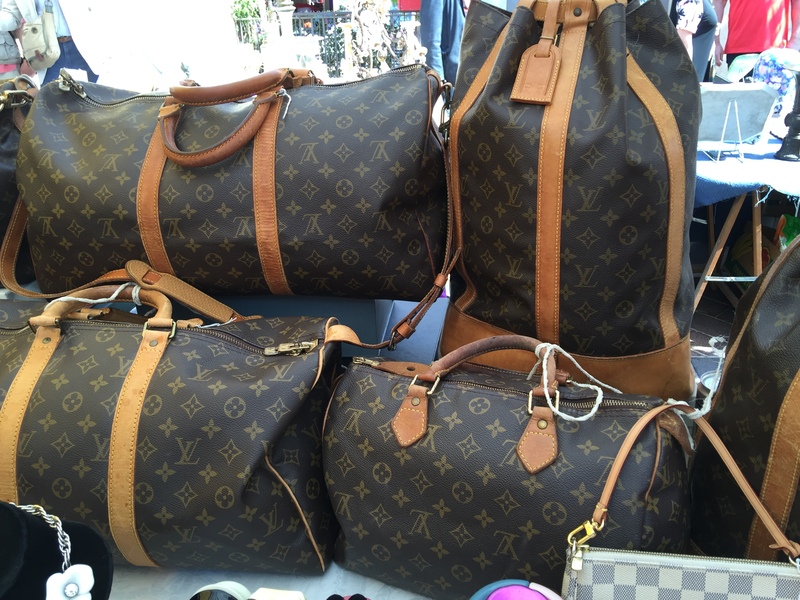 The French Riviera Pass was invaluable; it offered not only free admission to museums throughout the entire Riviera, but also discounts at shops, complimentary wine-tasting and a host of other enriching experiences. We took a bus to the hill of Cimiez to visit the Musée Matisse, a 17th-century Genoese villa, which houses one of the world’s largest collections of the artist’s works and follows his career from his early days through his last works. For lovers of Matisse, as my daughter and I are, the museum was very special, given the artist’s special relationship with Nice, where he lived and died and with the museum itself. Reflecting this relationship, the museum has almost all of Matisse’s sculpted works, which he and his family donated by to the city. And, of course, there are also more than 60 paintings, as well as gouache découpés (cut paper collages), sketches, engravings, illustrated books, tapestries—and the work Matisse considered his masterpiece, his designs for the stained glass windows and other decorations for the Chapelle du Rosaire de Vence. To make this immersion of all-things-Matisse complete, there were also many items that belonged to him and which could be seen in his paintings. 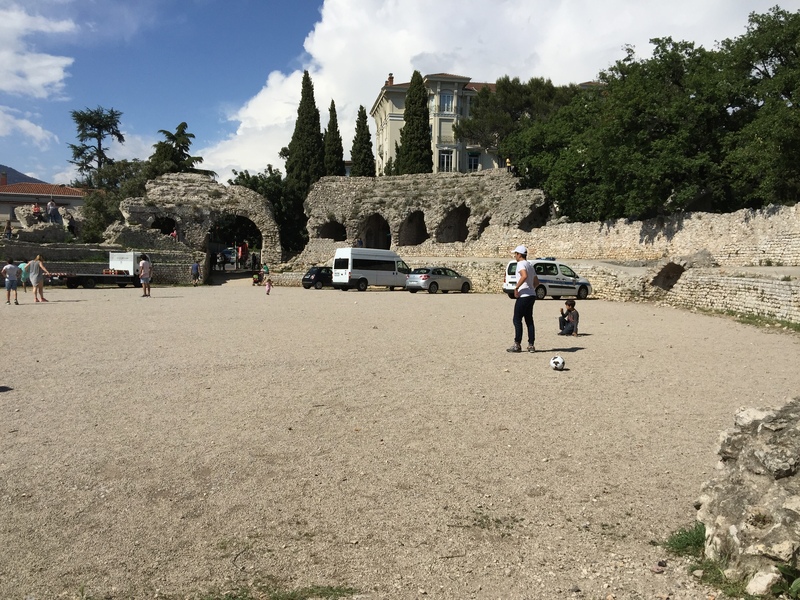 Outside the museum, where some kids were playing ball, we saw Roman ruins dating back to the second and third centuries B.C., part of the Musée et Site Archéologiques de Nice-Cimiez. Nearby was the hotel Palais Régina where Matisse lived for a time (and where Queen Victoria stayed decades earlier). Down the hill is the the Musée Marc Chagall, which was purpose built to house his most important biblical works, including the 17 paintings that make up the Biblical Message. 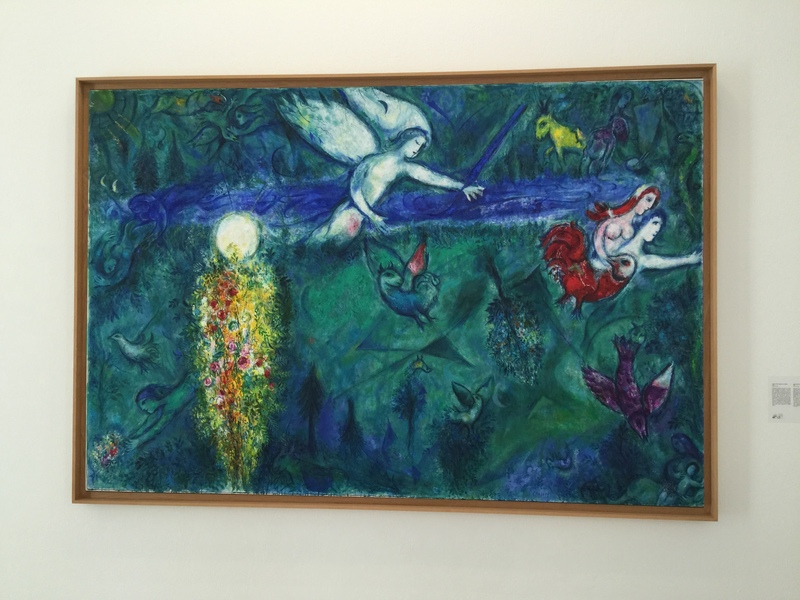 It is the biggest public collection of works by Chagall. In addition to the set of works inspired by Old Testament themes—one room alone has 12 paintings illustrating the first two books of the Old Testament–it includes more than 400 paintings, drawings, pastels and gouaches. 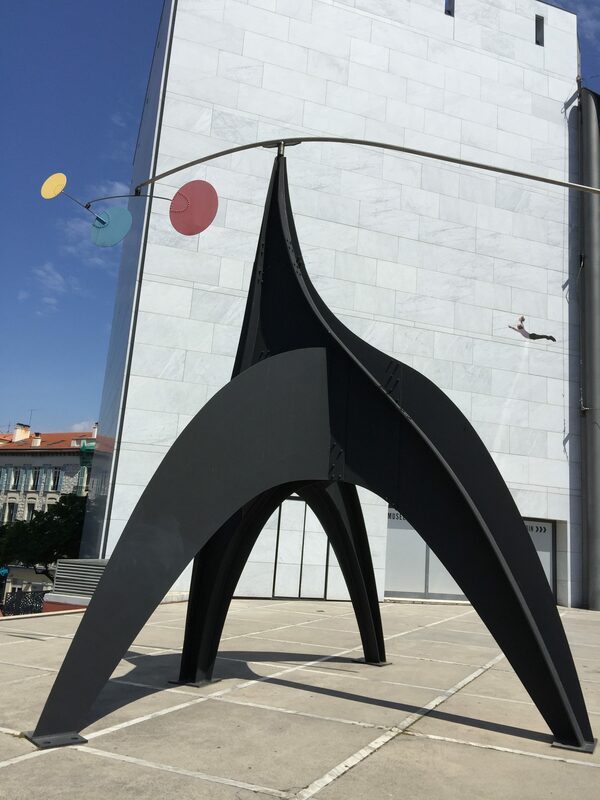 For a change of pace, we visited the Musée d’Art Moderne et d’Art Contemporain, also known as MAMAC, dedicated, as the name reveals, to modern art and contemporary art. Here, I especially enjoyed the whimsy of Niki de Saint Phalle’s “Bouddha” and “Viva Italia” and the opportunity to re-visit some of America’s pop icons, including Andy Warhol and Robert Indiana. The museum itself was an architectural stunner–and the café was an appealing spot for relaxing and snacking. Squeezed in between our explorations and our delicious meals and snacks, was a perfect lunch—at Le Bistrot du Port, which has, as the name suggests, a portside location—and also the freshest of fish and the friendliest of staff. The entire meal at this trendy but unpretentious restaurant was memorable, but the highlights were the John Dory, the lobster–and charm of the owners. As Nice is a seaside town, we thought it would be fun to see the coastline of the posh towns along the coast. So we took an hour-long coastal seaside tour that sailed along the Baie des Anges, the Cap de Nice and Cap Ferrat and entered the bay of Villefranche-sur-Mer. Talk about the lifestyles of rich and famous! Along this dreamscape, we glimpsed luxury hotels, lush gardens and the magnificent villas of Saint-Jean-Cap-Ferrat, which claims the most expensive real estate prices per meter in the entire world (over €200,000 was mentioned by one source). To back that up, we were told that one historic and over-the-top property had a $1.1 billion price-tag. Pure fantasy.